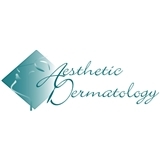 Aesthetic Dermatology (Bala Cynwyd) - Book Appointment Online! At Aesthetic Dermatology we are committed to providing you and your family with compassionate, medically-sound patient care. A full range of dermatologic services is available from skin cancer evaluation and treatment, to medical treatment of acne and psoriasis, to physician-directed skin care regimens and state-of-the-art cosmetic procedures. When you have skin problems, you need to turn to a dermatologist who listens and responds. An experienced doctor who knows the field and can effectively diagnose and treat your needs. A friendly physician who counsels you on the best ways to maintain and improve your health. Our staff meet all these criteria. Plus, you benefit from a dedicated team of trained professionals who give you the individualized attention you deserve. I appreciate the friendliness of the staff, the professionalism of Dr. Parrish, the time he takes with me, and if I have any questions or concerns, I like the way he answers them.